Legendary voice actor Rob Paulsen (Yakko & Pinky), who has delighted generations of animation fanatics with his signature roles in “Pinky and the Brain,” “Teenage Mutant Ninja Turtles,” and other film and television projects, will be joined by “Animaniacs” composer Randy Rogel, Jess Harnell (Wakko), and Maurice LaMarche (the Brain) in“Animaniacs in Concert!” at the Miller Outdoor Theatre on Friday, November 9thin Houston, Texas at 7:30 PM. 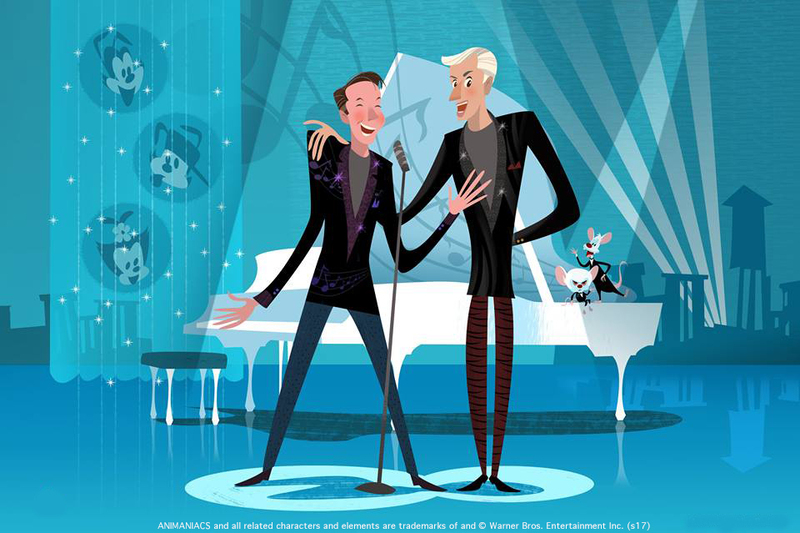 “Animaniacs in Concert!” features live music and voice work from Paulsen and music from Rogel while beloved “Animaniacs” cartoons are screened. The show has hopscotched around the country with shows in St. Charles, IL; Arlington, TX; Tucson, AZ; Long Island, NY; Grayslake, IL; Santa Clarita, CA, Downey, CA, San Francisco, CA and New York City.